Looking for affordable fun this summer for the whole family? Check out the Groveport Aquatic Center. The amenities at this municipal outdoor water park include: 450 foot lazy river, 2 giant water slides, in-water playground, diving boards, 450,000 gallons of water, 0-depth entry leisure pool, tots sprayground, shade umbrellas, birthday party packages, swim lessons, free WIFI, lounge chairs, changing rooms, special events, appreciation weeks & more. Seasonal passes and day passes available. 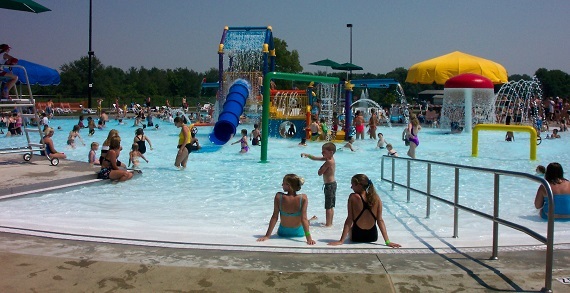 Named "Best Outdoor Municipal Pool" multiple times by Columbus Parent Magazine.